While we anxiously await a release date for Legend of Zelda: Skyward Sword, have a new trailer for the game straight from San Diego Comic-Con. The trailer is 1:45 of pure gameplay footage and shows the return of the Gorons, the evil (and goth-tastic) Lord Ghirahim and plenty more aspects of the game we haven't seen yet. 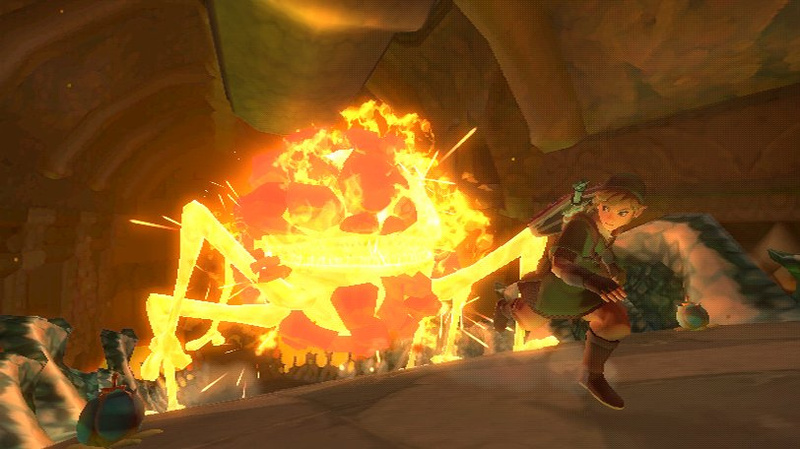 We got to try out Link's latest recently and our full hands-on preview will be live on the site later today. Isn't this 99% similar to the last trailer...? It certainly doesn't qualify as "brand new"
Anyway, like Twilight Princess this trailer also shows being chased by a boss, I wonder if they actually leave it in the game this time. Additionally, I need the creature at 1:15 stuffed on my mantelpiece. Favourite creature design in any TLOZ, ever. More Totoro-inspired and quirky designs, please. @1 Spot on, it only has about 10 seconds of new footage if that. Still, I am very VERY keen for this game. My Wii's last harrah! Let's stay realistic here: It's about 90% footage from the E3 trailer. Do you want that penguin thingy with open or with closed tail? This time, they cut out the two frames where you could see its tail open. @ Burny: I didn't even know it was a pinguin-bush! That's amazing. I need this creature in my life. I could just keep it in my garden and none of the neighbours would know about it. The only 3D Zelda I've liked is Majora's Mask, this game might change that. This looks great. I'm by no means a Zelda fanatic (I'm yet to play any for more than about 30 minutes) but I can't wait for this. THIS LOOKS AMAZING!!! The graphics are pretty good for Wii too. This trailer isn't that new. Great trailer, but why sissy Link?!! I can't recognize it. All I can say is this looks like Zelda Fantasy. That's not a bad thing either. It looks different enough from twilight princess to get me really excited. Can't wait for this now!! The game is looking great so far. I'm sure it will be better than the disappointment that is TP, and it might be better than my favourite Zelda game, MM. Who knows? Eh? The first half was definitely not gameplay footage, lol. Looks good though. Yeah could have sworn that was the same one from E3, you got me excited for nothing! Still has the backwards Zelda lullaby, hope that makes it into the game. 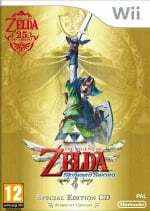 @deegan714 Miyamoto, at E3 2011, said that he had to listen to the piece over and over because it's heard everywhere as Skyward Sword's main theme. I'm fairly sure it's guaranteed to be in it. Yeah, too bad this trailer only has a few new parts. The game looks great, though. Hmm, slightly different trailer. Best part: There are Gorons in the game! Yeah! I adore the orchestrated soundtrack; if the game is packed full of orchestrated music it could help to make it something really special. Gameplay is vitally important, but good gameplay combined with a top class soundtrack definately gets my gaming juices flowing. "Return of Gorons" when were they absent? Gotta love Zelda's new nose! OMG. I cant wait for this one I will be picking this one up for sure. I actually like the graphics too. Seem kinda like a mix of the cel shading used in Wind Waker and the graphics from Twilight Princess. Wow. Lots less brown than TP. The Gorons don't interest me, never have, though I liked the chiefs little dance in OOT. Kinda nervous about all the controls and butons on the screen. Looks kinda hectic. This game looks boring imo, I'll probably skip this one. The must have game for the Wii this year...well the only game on the Wii this year worth buying if you in north America.